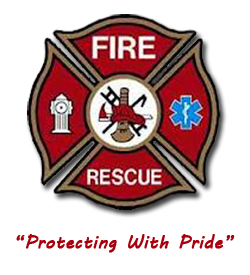 The Canadian Volunteer Fire Services Association is a national organization created to benefit the community by maintaining and strengthening Canadian volunteer fire services through the provision of education and training, administration and organizational standards for volunteer fire fighter units. The FSANS Standards Committee is actively working on developing policies for minimum standards for the Nova Scotia Fire Service. The Canada Safety Council is an independent, knowledge-based, charitable organization dedicated to the cause of safety. We provide national leadership in safety through information, education and collaboration. We are Canada's voice and resource for safety. Every year many families lose their homes and possessions to the ravages of wildfire. Just 10 m of defensible space may save your Home! For further information on keeping your home safe from wildfires, please click here . Incorporated in 1976 as a registered charity, Fire Prevention Canada is a non-profit organization. Our primary mission is to increase awareness of fire prevention nationally, through educating the public directly. Fire Prevention Canada is privileged to have His Excellency the Right Honourable David Johnston, Governor General of Canada as its Patron. Burn safe! Please respect when domestic brush burning is allowed, allowed with restrictions, or not allowed at all. The map is updated daily and is easy to read. March 15  October 15 campfires are not allowed between 8:00 a.m.  2:00 p.m.
Winter Burning may take place from October 15  March 15. Please check with your local Fire Department before burning; some municipalities require a burning permit year round. The Department of Health and Wellness supports programs and services that protect and promote health, and treat illness for Nova Scotians and their families. Nova Scotians are encouraged to enjoy the outdoors safely by learning to avoid the blacklegged tick bites that can cause Lyme disease. The fire department's website gurus. The best Nova Scotia website design and development firm on the South Shore, with a score of services to help you market your business on the Web. Websites that work! Visit the Fire Fighters' Museum in Yarmouth to discover the history of fire fighting in this province. If you're interested in fire service items from around the world, you'll want to stop by this museum. For a guided tour of the Lorne Street Museum, call 902.298.4161, or drop in if its open when you drive by. 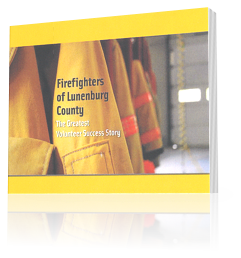 The book launch of "Fire Fighters of Lunenburg County" on September 20, 2014 was a great success with a full house in attendance. The Cornwall & District Fire Department has copies of the book for sale. Proceeds go directly to the fire department where the book is purchased, so please purchase it from CDFD. Please contact Steve Patterson to make arrangements for you to purchase this fantastic history of fire fighting in your community. One of our very own members is featured.